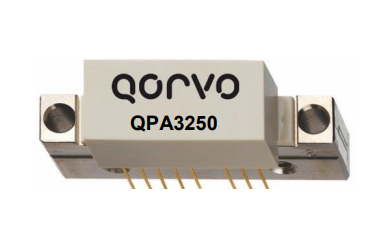 The QPA3250 is optimized to work under DD (Digital Pre-Distortion) in order to save power or to improve linearity. The DC current as well as supply voltage of the device can be externally adjusted for optimum distortion performance versus power consumption over a wide range of output level. For more features and specifications on the QPA3250, download the available datasheet.